How’s that for attention to detail? Im sorry but the players just look so wooden, if you compare it to the likes of LA Noire. Probs still get it though. Either way, I’m going to buy this. Table football is as close as it gets! wait…Benzema actually scoring a goal ? Not likely. When’s the release date for the UK version? Looks like FIFA 09 with updated kids and teams. You guys whine about some close up details while I enjoy the great new and more realistic gameplay. You stick with FIFA 09 since the graphics are the same. YAY!! lets spend more money on things we don’t need! Seriously, how can someone be happy about these kind of trailers ? they don’t show the actual gameplay and the graphics are terrible. Fifa 10 is still on top, Fifa 11 made it too difficult (realistic ?) to score. @df – i agree with your first comment dude, you cant tell nothing from the trailer……that has nothing to do with gameplay……its only informing you of whats to come. 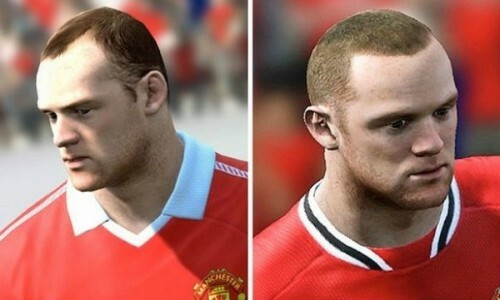 Well looking forward to FIFA 12!!!! stop bitchin, the game is going to be good. its not going to feel like youre on the pitch no, but its a f***ing computer game. I precisely dont want to feel like i’m on the pitch, i want it to be fun, fluid and to look good. Who cares if the shocks between players are more realistic really ? If I wanted to play “real football”, i’d call my friends and go to the nearest park. I’m not a fifa hater here (I own the last 4 …) I just don’t get this obsession of making it so “real”. It’s a video game for christ’s sake ! when is it going to realese…? ?